At Cox Family Dentistry, we can often save a tooth that has been damaged or worn to a point where a standard filling won’t bring it back to full functionality. By installing a crown, we can rescue and even add strength to your impaired tooth. Plus, the advanced composite materials we use to create your crown will appear so natural, you’ll have difficulty telling it apart from a real tooth. Do you need to fill an empty space in your mouth? Is there a place where several missing teeth have formed a large gap in your smile? If so, a bridge may be the best choice for you. Custom designed from the same advanced composite materials, a bridge is anchored on both sides with crowns, spanning the gap to restore function, comfort, and an amazing smile. To restore a brilliant luster to your teeth, a professionally supervised procedure is required, but the process is easier than most people realize. In one visit, stains and dark discolorations can be a thing of the past with Philips ZOOM!™ Whitening. The results can last for years! Or, if you prefer, we also offer custom whitening trays, created in our own lab. During an initial visit, you receive supplies and instructions, allowing you to complete this safe and effective process at home. Results become visible within 1 - 14 days. If you have less-than-perfect teeth, large gaps, or odd discolorations, our porcelain veneers may be the right way for you to obtain a flawless smile. 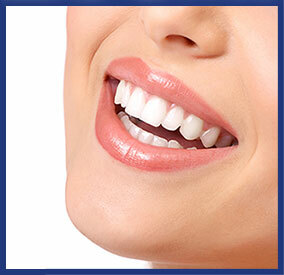 Veneers are thin, durable sheets of the most advanced dental ceramic available. They are attached to your natural teeth, so that your teeth look both straight and uniform. Veneers may also be applied to correct chipped, cracked, or worn teeth, and because they are designed to match the color of your adjoining teeth, they look completely natural. 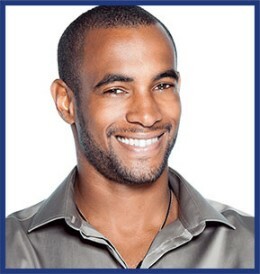 With cosmetic imaging, we can show you your new smile in advance of any treatment. Digital images of your teeth and gums can be shaped, replaced, added, or lightened, letting you see what these changes will do to improve your smile. Imagine how exciting it will be to see your future smile even before you start the steps to reach your treatment goals! Dental implants are a great solution for replacing your missing teeth. From the front of your mouth, where they’re highly noticeable, to the back, where they offer stability to chew a large variety of foods, implants can help you attain a dazzling, healthy smile. Unlike bridges or removable dentures, which rest on your gums, dental implants are placed below the gumline. The “tooth” fitted on an implant seems life-like, because it pushes through your gums just like your original did – it’s like growing a new tooth! Multiple missing teeth can be replaced with implants. Even people who’ve lost all their teeth can benefit from implants, because they can anchor their dentures, resulting in teeth that don’t shift during conversation and don’t need to be removed at night. After an oral surgeon installs a titanium post, we will custom make and place a natural-looking restoration. Get the smile you desire – permanently! If you have dentures, you’ve undoubtedly suffered through an embarrassing denture moment. For no explainable reason, they shift, slide, or worse – pop-out! You’ve attempted to use more denture adhesive in hopes of making your teeth stay in place, but the cream just squeezes out everywhere. It’s time to be free of the mess. With dental implants installed as the anchors for your dentures, your teeth will become “locked” in place, so they can’t move. Yet they readily snap off for cleaning. Say so long to nasty creams! 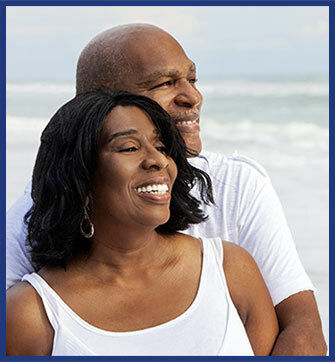 Ask us if you’d benefit from overdentures. If conventional dentures work best for you, we can design and fit natural-looking dentures that won’t slip! An innovative breakthrough lets us fit your denture plate so you no longer have to be concerned with what foods you eat or that your dentures might shift or slip. If you have dentures, be sure to inquire if this would be right for you. It will make your life so much easier. Schedule a consultation by calling (864) 226-4300, and discover how cosmetic solutions and teeth whitening can give you a brilliant new smile!